Yuko is a sweet and snuggly little 4 month old pup who is in desperate need of surgery to save his life . 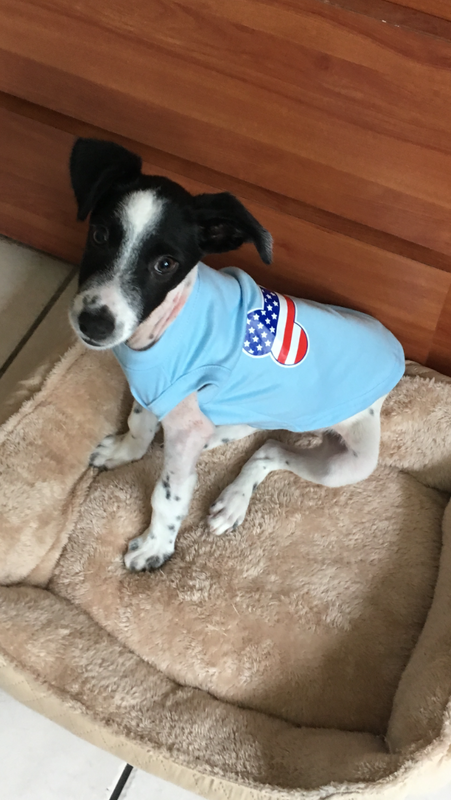 Yuko and his 3 siblings were only about 2 months old when they were found abandoned in the countryside of Peñuelas, a small coastal village in Puerto Rico. 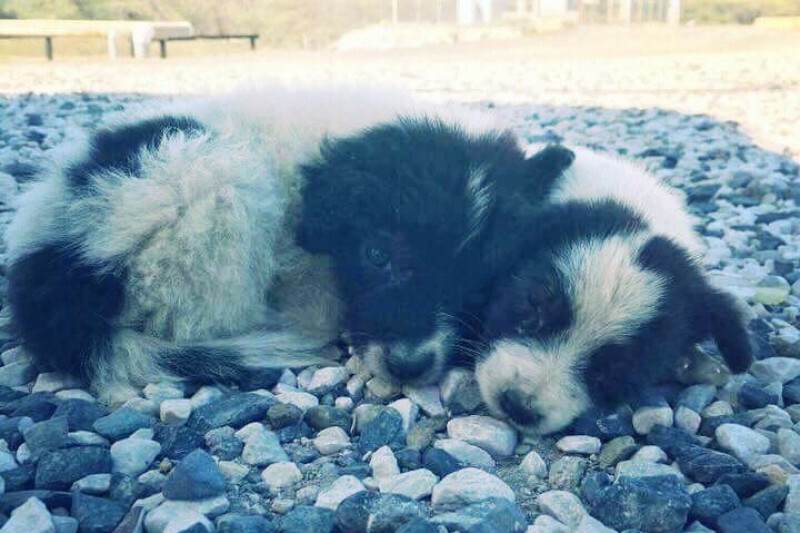 The tiny siblings were sleeping out in the open on a pile of rocks, near a cardboard box. At his foster home, Yuko was slow to put on weight. He struggled to keep up with his siblings. He developed a cough, and his foster mom noticed that his little heart was beating rapidly. When she snuggled with him, she could feel it pounding against his chest. The veterinarian took x-rays and found that Yuko had an enlarged heart. He was referred to a specialist, and was diagnosed with Patent Ductus Arteriosus (PDA), with evidence of heart failure. Yuko is very sick now, but he is an excellent candidate for surgery to repair his heart. With surgery, he should live a healthy life with a normal lifespan. Because he is such a cute and funny little guy, we know that he will be adopted quickly once he has recovered. Without surgery, Yuko probably won't live to be six months old. Please help us give him the chance to live the life he deserves. Hi, everyone! This is me, Yuko, six weeks after my PDA surgery! As you can see, I'm doing fine, I am already playing and goofing around. Thank you for all your prayers and support to make all these possible. My next appointment is scheduled for June 9th, and that's when the Vet, Dr. Mongil will tell when I'll be ready to fly! I'll keep you posted! Love you all!!! Hi! Yuko is recovering well after his recent heart surgery eleven days ago. He always wants to play with his foster mom whenever she goes into his room, so that's a good sign, but for now his prescription is rest until he goes back to the vet this coming Wednesday, May 10th. Stitches will be removed, and then Vet will tell how much activity he can do. So far he is still on his heart medicine (pimobendan), and a diuretic (furosemide). We'll let you know what Dr. Mongil, the Vet Surgeon , says. 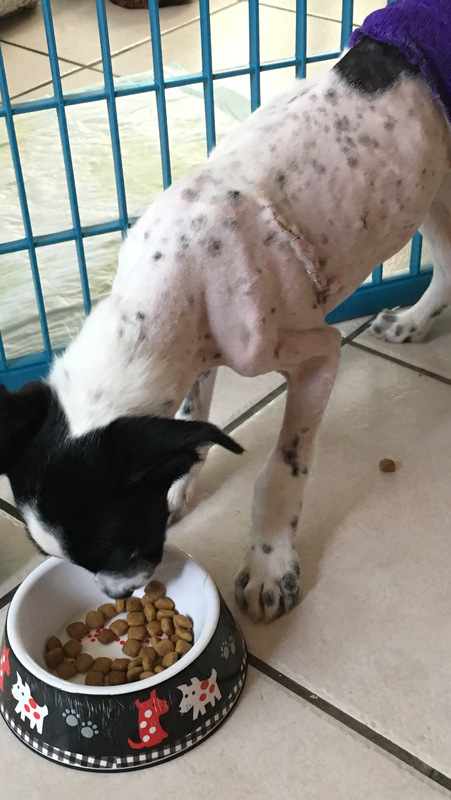 Thanks for your prayers, and for your generous donations we've received to care for Yuko, we've raised almost $4,400 and need to raise about $600 more. Please keep sharing the link. We are so close to our goal!! Hi, friends and supporters of Yuko! We already passed 50% of our goal, so we could give today a downpayment. Yuko had his surgery few hours ago, he is actually on critical but stable conditions, receiving IV medications, and with a chest tube in place. He truly is a fighter! We still need to reach our goal so we can cover all the medical expenses. Please keep little Yuko in your prayers, and keep spreading the word so people keep donating! Will post the next update tomorrow after we talk with the Vet. Blessings to you all! Which vet in PR is doing the surgery? Now little Yuko can get his surgery. Thank you everyone for caring. Thank you All Sato for saving Yuko. Here is a small contribution towards his heart surgery. He is in good hands with All Sato, you have the biggest hearts of all! Here is a few more bucks. I know what it is like to try to help these guys. I am doing a go fund me for the dogs and cats in Ceiba. So many who need help and no rescue is working there even though people think they are. I spayed and neutered 10 animals in February. Am continuing to do so from here in NY but still so many. Someone just dumped 2 sets of 3 kittens at colony. Can't keep up with it. I do this out of my own pocket but when big bills like this come up we NEED HELP for sure. Thanks for helping this puppy and all you do as Joy tells me you do so much. Once he is healed maybe you can share my go fund me so I can do more. I am waiting for a rescue to come from the states who took some dogs out of there in February. I want the friendly dogs and cats out of there. I may have found a place for the feral ones where we pay for them to stay but at least they will be safe. As you know sometimes people are not nice to them. Keep posting his recovery for us. I love to see them safe and living a life they deserve. Thank you so much for helping this little guy. I'm sure he's very special.